Home / News / Philippines / Escudero ready to join Duterte cabinet? 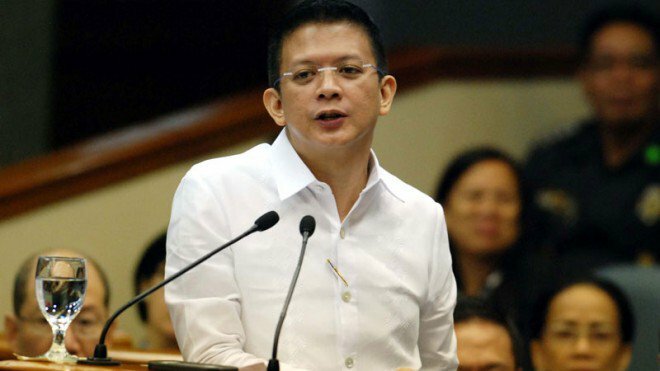 Escudero ready to join Duterte cabinet? MANILA, June 30 -- With two years left until he completes his term as senator, Sen. Francis Escudero said he has no plans of accepting the Justice Secretary post should it be offered to him. “Hindi rin. Dahil maraming sakit ng ulo (Not really. It’s only going to give me headaches),” Escudero told reporters in a recent press conference. “Pansin mo lahat ng DOJ (Department of Justice) secretary palaging may issue (Notice how almost every DOJ secretary had several issues),” he added. Escudero cited former DOJ secretaries Raul Gonzales and Leila de Lima as well as current DOJ secretary Vitaliano Aguirre II as having been caught up in their own issues during their respective terms as Justice chief. The senator, however, clarified that he has not yet received any offers to join the cabinet of Pres. Rodrigo Duterte. Asked what his plans were after his term as senator, Escudero said that he is looking forward to retirement.